A Sky customer will pay £5,000 after his account was linked to an illegal stream on Facebook. 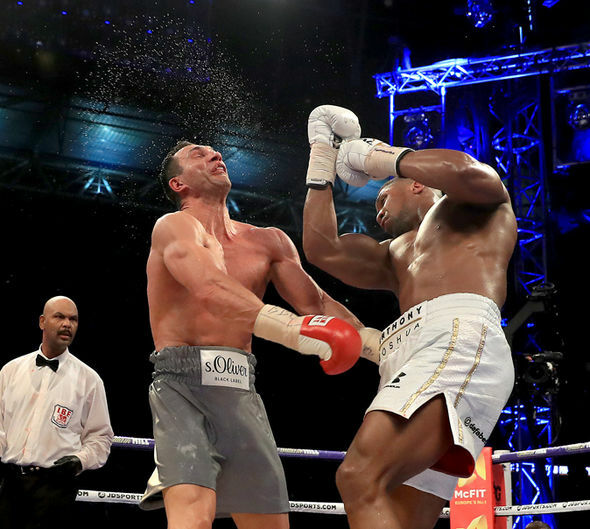 The feverishly-anticipated fight between Anthony Joshua and Wladimir Klitschko back in April 2017 was available exclusively on Sky Sports Box Office for £19.95. However, thousands of people enjoyed the boxing match via a Facebook live stream for free. The stream, which was viewed by some 4,250 people at its peak, was traced back to the Sky account holder, Craig Foster, of Scarborough. One of these letters claimed Foster could face fines of up to £85,000 if the case went to court, according to the Mirror. Neil Parkes, Partner at Foot Anstey LLP, told The Independent: “Mr Foster broke the law and illegally shared copyright protected content with thousands of people online. Last year, a Sky Sports subscriber was ordered to pay £16,000 after being caught illegally streaming the channel. The News comes as thousands of tutorials teaching Kodi Box owners to pirate live content from the likes of Sky Sports, BT Sport, and more, was unearthed on YouTube. 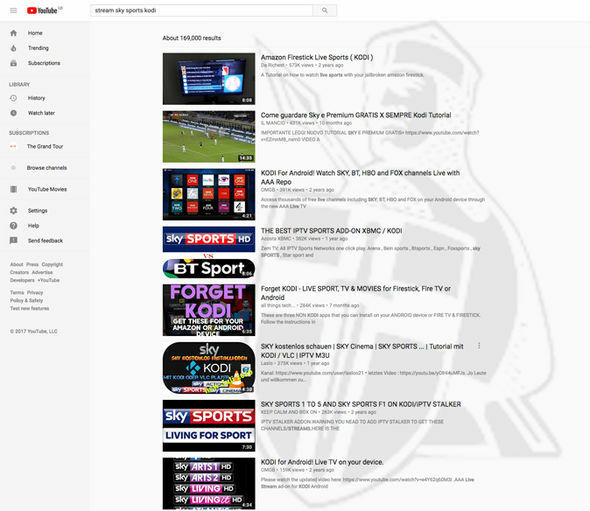 Searching YouTube for videos about streaming Sky Sports on the Kodi platform returns more than 150,000 videos. Many of these boast thousands of views, but the most-viewed have 500,000 hits under their belt. For those unaware, Kodi is a neutral, open-source media player which can be installed on a broad range of devices – from discount set-top boxes powered by Android, to well-known branded devices, like Amazon Fire TV Sticks. Apps – known as add-ons – built by the passionate community of third-party developers allow users to stream premium content, like paid-for sports and movie channels for free. 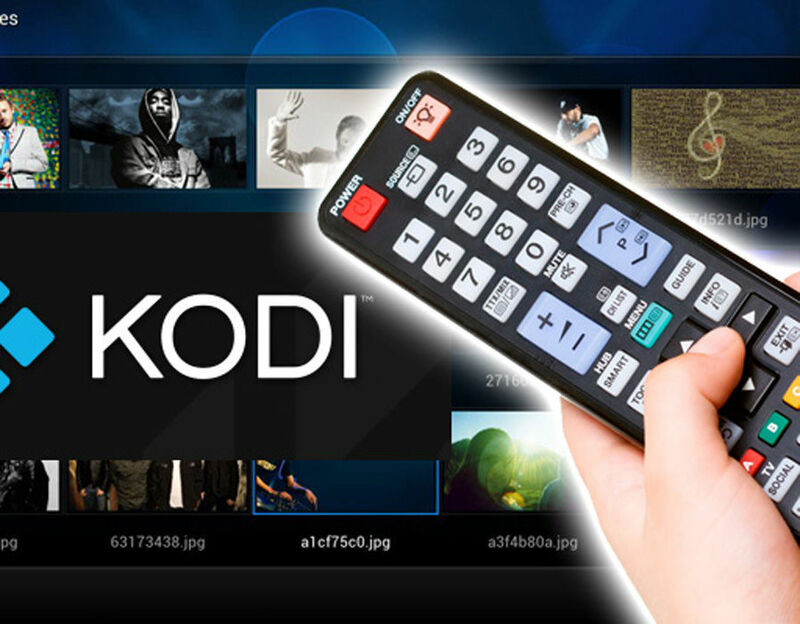 So-called Kodi Boxes are devices, manufactured by a number of different brands, with all the requisite third-party software to stream paid-for content for free preinstalled on the set-top box. KODI is legal if used correctly and here’s all the devices that can run this streaming software. Streaming paid-for content for free without the permission of the rightsholder is illegal. And that’s exactly what scores of these YouTube tutorials are teaching Kodi novices to do. Videos entitled “How To Watch Live Sports On Kodi 2017” and “How To Watch All Sky Sports & Bt Sports Channels On Kodi For Free – 100% Working” have thousands of views. A spokesperson for YouTube told Express.co.uk, “We take protecting creativity online seriously and we’re doing more to battle copyright infringement than ever. “YouTube respects the rights of copyright holders and has invested heavily in copyright and content management tools to give rights holders control of their content. “When a copyright holder notifies us of a video that infringes their copyright, we remove the content promptly, and terminate the accounts of users with multiple copyright strikes. Because of the sheer amount of content uploaded to YouTube every hour, the video hosting site often relies on the online community to flag content as inappropriate.